McCrillis Hill Copper Works - Coned roof Moore Project. Coned roof with flared bottom tied into an entry roof. 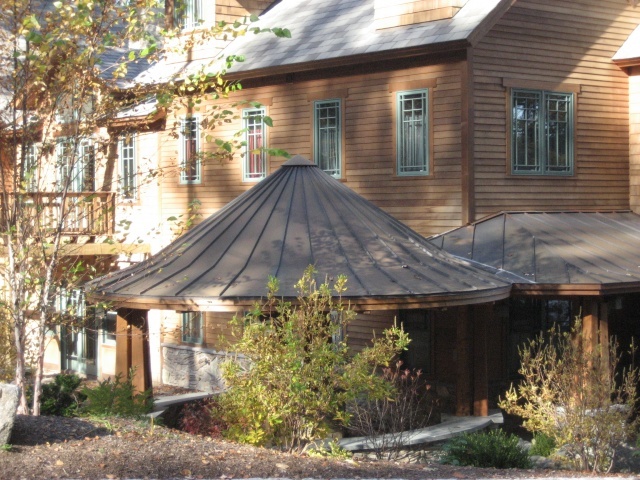 Material for this project are 16 ounce copper, and because the pitch is low on the entry roof valleys are soldered.